The original concrete balconies were weathered, exhibiting areas of deterioration. The steel railings were a maintenance issue and did not conform to current Building Code requirements. 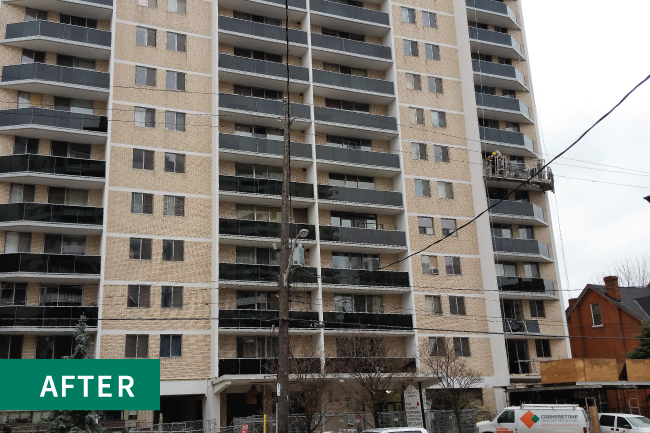 The installation of new powder coated aluminium glass railings provides a refreshed, modern look and satisfied all safety and current Building Code issues. All other concrete elements of the building were repaired and finished with an architectural coating to complete the restoration. 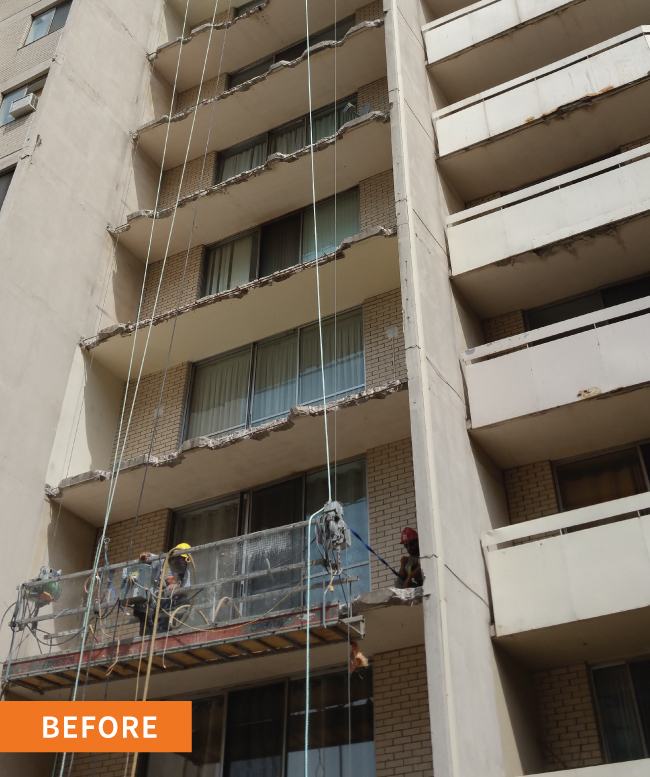 Let us bring your deteriorating balconies back up to Code and eliminate safety concerns and ongoing maintenance. We can vastly improve the appearance of your building and give you peace of mind. Click here to learn more.